Michael is an experienced Acoustic Wedding Singer & Wedding DJ having provided entertainment for over 400 weddings across the UK & Europe. 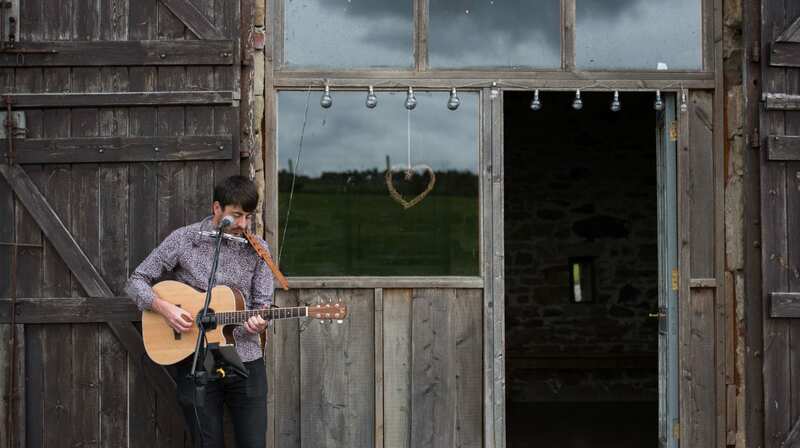 Acoustic music is perfect for weddings as songs can be performed in such a diverse way, creating a relaxing atmosphere whilst guests are enjoying drinks/canapes during the drinks reception, to an upbeat, foot stomping sing-a-long set in the evening. Create your own customisable wedding entertainment package tailored to your day! Michael is also more than happy to make special arrangements, and welcomes any suggestions or other ideas you may have. All equipment is PAT tested, and I also have public liability insurance for £10 millon. Outdoor Ceremony or Drinks Reception? No problem, I also have a battery powered speaker, Which means I am completely portable and able to perform during your wedding ceremony or drinks reception anywhere within your wedding venue. e.g. Woodlands & Gardens.